This story was inspired by my own experiences as a young child emigrating to the U.S. by passenger ship. In reality I was even younger than Ella, not yet four. So my strongest memories of this journey were not of the events themselves. I remember bits and pieces as well as the stories I heard over the years from my mother. But my overarching memory is an emotional one, particularly the sadness of saying goodbye to Oma, my grandmother, and the anxiety of the big changes happening. The difference between a move from house to house, town to town or city to city, is that you know you will see your loved ones and friends again. When you move to another country and especially another continent… you don’t really know that for sure. I truly felt like I was moving away forever. Would I ever see Oma again? Would this new country where they spoke a different language ever feel like home? The implications of all of that are not explored in this book. It really is only about the actual journey of leaving home, traveling to the unknown, and all the emotions that come along with that. It’s not about what happens once you get there. Hopefully I’ll explore that in another book because I have strong emotional memories of that time as well. We might not think that children understand the ramifications of a move like this and certainly the events are not experienced in exactly the same way an adult would experience them. But something my grandmother, Oma told me years later, made me realize how aware I was, even as a three year old on the eve of this huge journey. Oma told me that on the night before we sailed to America she came to tuck me in and lay down beside me. In the dark I took her hand and said, “Tonight I can still hold your hand, but tomorrow I won’t be able to anymore. Clearly, I understood the emotional significance of leaving Oma and my home. That emotional memory has always stayed with me. I often explain to students I teach that not everything in the book happened to me in exactly the way I wrote it. I changed details for the sake of a clearer and more resonant story, while remaining faithful to the emotional truth I knew deep inside. I always knew I had a story to tell about this voyage, but I wasn’t always sure how to go about telling it. I found a way into the story through the main character, Ella. Once I finally decided how to develop the character visually, her personality and voice came quickly. This is an example of the added benefit of being both the author and the illustrator where the pictures inform the story and the story informs the pictures. Just like Ella, I drew a sun with crayon during the turbulent Atlantic crossing. How could the grown ups not like a picture of the sun amidst the stormy seas, winds and rain? In real life I even won a prize for that picture, but I didn’t think that was important for the story I wanted to tell. I was more interested in the fact that a child can envision the good, or a happy ending, in the middle of a difficult situation, reflecting the amazing resiliency that many children have. As long as they have at least one loved one close, I think children can be strong and adaptable. Expressing fears, anxieties, and hopes for better times through art, is a well-documented way children can process adversity. My story is from the perspective of just one little girl who experienced this journey to the United States many years ago. Obviously, each immigrant has a different story, but there are universal themes and emotional touchstones. Leaving behind loved ones and venturing off across the world is an immigrant’s story that comes directly from the child inside of me, the child that carried this story for so many years. I hope Ella & Monkey at Sea can encourage and comfort any child who has left loved ones behind and must find the resilience within to make a new home. I really had a toy monkey named “Aap”, meaning monkey in Dutch. My parents gave him to me on my first birthday. He really did move with me to America. Some people think he looks scary, but I think he’s cute and always loved him. To this day, I still have Monkey. We really sailed into the tail end of Hurricane Ella! I named my character after that Hurricane. The voyage was very rough and actually took 8 days instead of 7. Soon thereafter the Holland America Line discontinued all North Atlantic crossings during the fall due to hurricane season. The ship we sailed on was the SS Rotterdam and it still exists! It was completely renovated and is now a floating museum, hotel and restaurant. Visit www.emilieboon.com to learn more. Thank you, Susan! I hope you enjoy the book! Many thanks, Maria! Hope you enjoy the book! What a wonderful story behind the making of this wonderful book. I’m sure it will resonate with all readers, but especially for those who have immigrated and settled in a new land. Hurray, Emilie! Thank you for your thoughtful comments, Laya! It’s so great to hear the tale of your inspiration. I can’t wait to see the finished product. Congratulations! Many thanks, Cinzia! Hope you like the book! 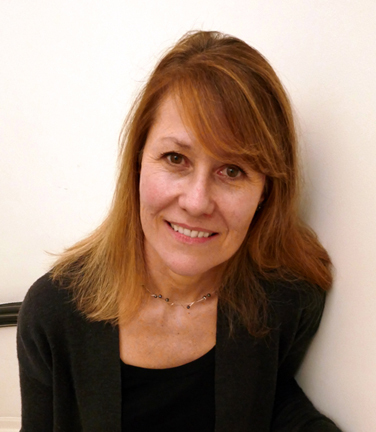 Wonderful to hear your story, Medinger! Did you go back and forth from Germany to Holland? Or also to the USA? How wonderful to hear the story behind the story! I love this, Emilie…thank you so much for sharing your journey and some of your creative process. “The pictures inform the story and the story informs the pictures.” We must hope that even when author and illustrator are not the same person, this will happen in every picture book. And your photos of the ship crossing and monkey are awesome! Thank you, Vivian! So glad you enjoyed the story behind the story of ELLA & MONKEY AT SEA! Love learning the backstory of your new picture book. Thanks for sharing! Thank you so much for reading my post and your thoughtful comments! I’m interested to hear about your own experiences, including how hard it must have been to say goodbye to your grandmother. 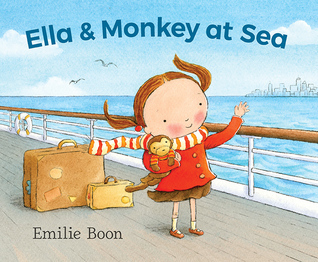 The good news is, Ella & Monkey at Sea is available in Australia! A friend of a friend saw it in her local bookstore! You may wish to ask your bookstore or local library. Australia is also a nation of immigrants and there may be others that would relate to Ella’s story.